The Optima Excel Local Display (OELD) is a smart junction box for the Searchpoint Optima Plus and Searchline Excel infrared detectors for flammable hydrocarbons. The OELD includes an LCD screen for gas information, a "traffic light" indicator for at-a-glance detector status, and Bluetooth® connectivity for simplified, non-intrusive maintenance. Simply pair the OELD with our intrinsically safe, ruggedized smartphone; then use the OELD smartphone app to interact with the gas detector from up to 10 meters away. 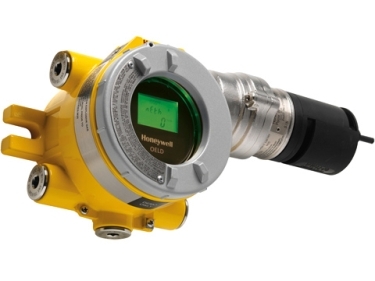 For maximum flexibility, the gas detector can be mounted either directly or remotely to OELD to suit any situation.